Since 1982, historian Robert Caro has been chronicling the life of the 36th President of the United States, Lyndon B. Johnson. The first three volumes of the Years of Lyndon Johnson series were met with wide acclaim. “In the moments following the Kennedy assassination, every one of the resources of the presidency was not only visible, but because they were being used to the utmost, they can be observed in all their facets,” Caro says. Here, Caro helps us parse four key leadership lessons from Johnson’s actions in the days that followed the assassination. The Kennedy assassination was one of the first national crises to unfold on live television. As a result, by the time Johnson’s plane from D.C. arrived in Dallas, the vast majority of the American public already knew what had happened. Rumors of conspiracies involving Mexico and Castro were already beginning to fly. While all of Kennedy’s men had initially agreed to stay on through the funeral, many of them were planning to leave shortly thereafter. Knowing this–and realizing the implications of a mass exodus–Johnson began a campaign to entice the staff to stay on. Johnson met with each individual and told him, “I need you more than Kennedy needed you.” But instead of using that same line for each person, Johnson gave each an individual reason that appealed to their particular interests, as to why he needed them to stay. On the night after the assassination, Johnson was at home in D.C. He couldn’t sleep. He called three of his aides to his bedroom. He talked to them for hours–without stopping–about what needed to be done, essentially outlining the agenda for the rest of his presidency. 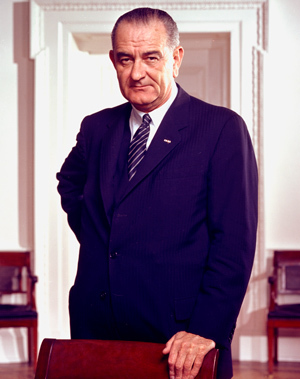 Since he had been an extremely powerful Senate majority leader, Johnson was able to see that Kennedy’s legislative agenda was stalled, and had been stalled since before his death. “He used the sympathy engendered by Kennedy’s death to pick up Kennedy’s causes and drive them forward,” Caro tells Fast Company. 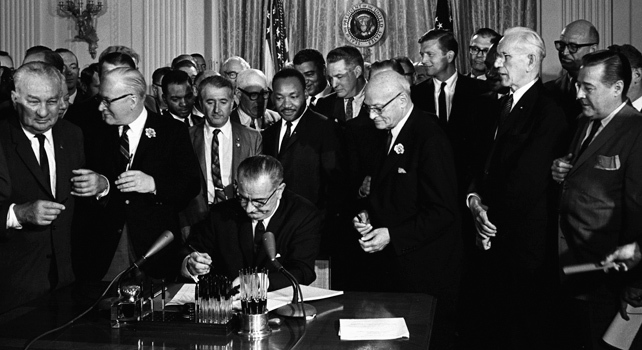 Although Johnson was always conscious of fact that he was not elected president outright, he refused to let that be an obstacle to carrying out his bold legislative agenda that saw major progress on everything from civil rights to Medicare. Johnson and Kennedy had a tense and often contentious relationship. While Caro acknowledges that we will never know what exactly Johnson felt personally about Kennedy’s death, it is possible that Johnson’s detachment from Kennedy may have made it easier to handle the crisis. In Dallas, Caro recounts that Johnson stood in the hospital for 45 minutes without any information about the president’s condition before an aide informed Johnson that Kennedy was dead. From that moment on, Johnson entered a new mode of thinking. Any personal thoughts or emotions needed to be pushed aside in order to lead the nation through a crisis and then some. Everything was in chaos. We were all spinning around and around, trying to come to grips with what had happened, but the more we tried to understand it, the more confused we got. We were like a bunch of cattle caught in the swamp. There is but one way to get the cattle out of the swamps. And that is for the man on the horse to take the lead, to assume command, to provide direction.